so know what market demands and make it possible. and even making a selfie! Now you can deliver all these to your customers. We all agree that video calls are the future of remote communication as they help to improve quality of distant conversations and make it way closer to how we talk in a real life. Nevertheless it's often a hassle: you need to make sure all participants use the same software, exchange logins, etc. It's doesn't make life easier at all. In Videolink2.me we're trying to solve all these problems and make distant video communication as easy as opening the link. Literally! 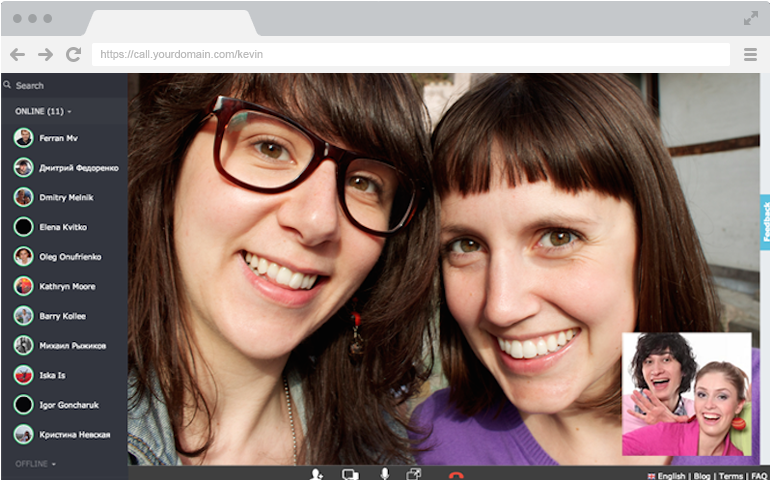 We provide users with personal web pages (like this one: https://videolink2.me/charlotte), which is all they need for arranging quick video calls. To invite other people they just send them a link (url) which can be used to start a video (or audio) call, directly in web browser. No more actions needed — just one click!